Shamil Nawar embodies an extensive dedication to the real estate community and is currently the Intero Ambassador for the Intero Foundation which gives thousands of dollars yearly to children in need. 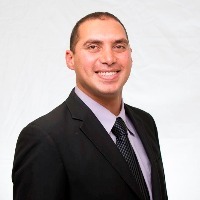 Shamil began his real estate career 10 years ago and obtained his real estate license in 2013. Shamil has a broad range of experience with investment property, commercial property, single family homes and property management. Shamil possess a passion and determination to assist his clients accomplish their short term and long term goals. Within the first meeting with Shamil you will feel comfortable with him, as he will relate to your situation on a personal basis, and tap into what your wants and needs are. You will experience his confidence, knowledge and compassion. Shamil is known for his negotiation skills that result in the best possible outcome for his clients. If you are looking for an exceptional Real Estate Professional, Shamil Nawar is the one you want on your team. Shamil's reputation speaks for itself and is well known in the real estate industry. Shamil is backed by Intero Real Estate Services, with over 70 offices in the San Francisco Bay Area and an International presence in London, Hong Kong, and Mexico. Intero has grown to #1 in Market Share in the past few years. Shamil will ensure that properties receive maximum exposure on dozens of different local, national, and international websites. He will do what it takes to ensure your satisfaction as his customer.